Amy joined Vrakas in 2017 as an associate after the firm merged with Radke & Schlesner. 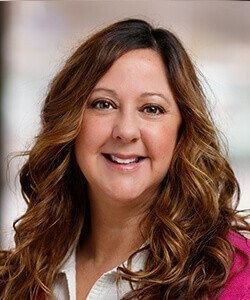 Her primary responsibilities include preparing individual and corporate tax returns for business and individual clients, preparing sales and use tax returns, preparing financial statements with tax analysis and tax projections, and processing year end payroll filings, including W-2’s and 1099’s. Amy works directly with business owners on budgeting, cash flow and forecasting in a wide range of industries and is also responsible for trust and estate returns.